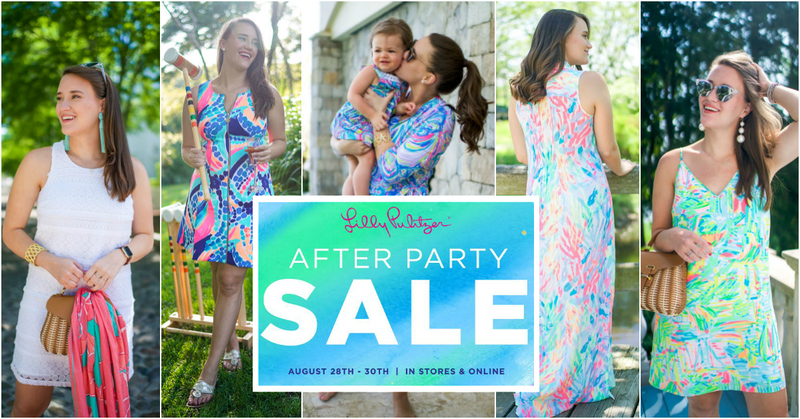 Save the Date: Lilly Pulitzer Summer 2017 After Party Sale! GUYS IT'S HERE!!! Well... almost :) The BEST sale of the year aka the Lilly Pulitzer After Party Sale is on MONDAY and I'm sharing everything you need to know below! I'd like to think I am quite the pro at shopping the Lilly sale and with that I wanted to share my personal tips and tricks for making the most of it! Create an account + Login before the sale: This is THE most important thing!! Creating an account is crucial to the After Party Sale process and creating an account now will save you time (and probably a few dresses) come Monday. You can create an account HERE. Pro tip: When you login, be sure to add your shipping and credit card information for quick and easy shopping. Things go SO quickly you really don't want to miss out. This also goes for girls with an existing account: UPDATE everything! *Remember to sign in on Sunday before the site goes down! The next time you'll be able to get in is after you are through the virtual line... Virtual Line Process: Basically it's first-come-first-serve to the site and it puts you in a line to shop. It keeps the site from crashing like in years past! So refresh until you get put in the line at 8am ET but here's an *IMPORTANT TIP* when the page changes over at 8am DO NOT REFRESH YOUR PAGE! And with that, I suggest you read up on all the FAQ from the Lilly Pulitzer page. They have a TON of great information and really important things to know on there. It's a huge help and will seriously answer all of your questions about the sale on Monday. Know and Refine Your Size: This is like my favorite trick in the book and one I suggest every year. Refine by your size so you know ahead of time if it's still in stock or not. No use wasting your time on items that are gone! I've worn Lilly for years and can safely say it's pretty TTS. I'm a 6/M in tops and an 8 in bottoms. If you still are unsure about your size Lilly has a great technology called True Fit and can recommend your size based on a super short survey. You can check it out HERE. Check Out Once: Once you're in the sale, you're in so make sure to only check out once. Once you've checked out you're put back at the end of the line and then will have to wait again. So be sure to shop quickly and check out slow if that makes any sense. It's always seemed to work for me! Also Lilly seems to add new items throughout the day so be sure to check back every so often to see what's still for sale!